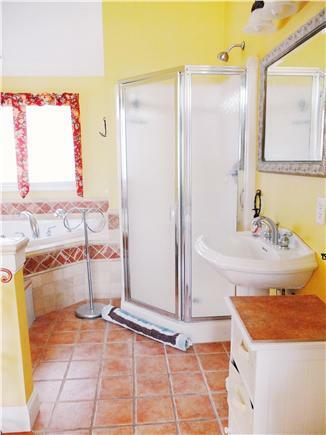 Welcome to our home just steps from the Lewis Bay's sandy beach. 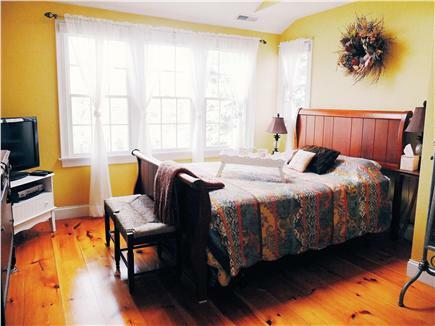 Main floor has a study with a Queen Bed, a full bath, plus lovely kitchen, dining, and living areas. Upstairs are three bedrooms and two baths including the one in the amazing master suite with a Jacuzzi tub, shower and skylights. 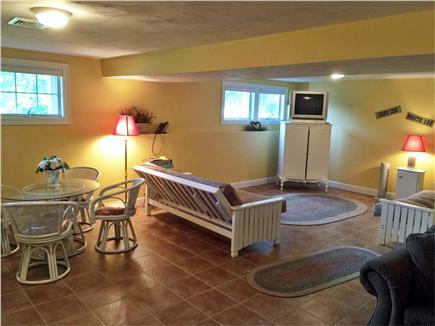 Downstairs is the full sized laundry room with ocean views, the TV/game room with two futons, TV, game table and chairs. The deck off the Dining Room has the grill, table and umbrella, and steps down to the outdoor shower.There are also beach chairs in the storage part of the basement. Parking for 2 cars is right at the front door. Additional availability info: We also will consider some shorter stays if there is availability. This is a Saturday to Saturday vacation rental. 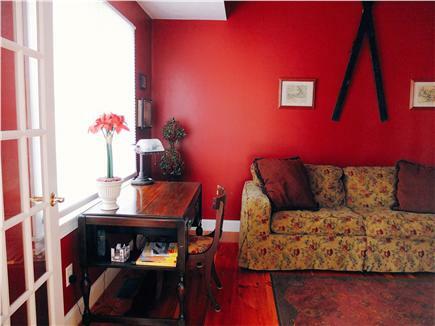 Long-Term Rental (1 month or more): We offer long term winter rentals at $3,200 per month including utilities. Additional pricing info: We will always entertain offers for multiple weeks at reduced rates. State and local taxes of 14.45% will apply. So sorry, but we are not handicap accessible. Perfect home for the perfect vacation! Our two families have been vacationing together for fourteen years! This year, we had the pleasure of staying at Rose Cottage from Aug. 11-18, 2018. This was our second visit to this beautiful home on Lewis Bay, and once again, we were not disappointed! 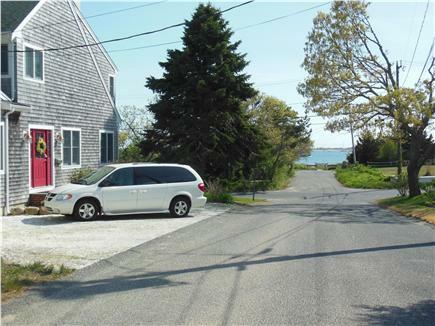 Rose Cottage is just steps away from the private beach across the street and within walking distance to Main Street, making its location perfect! 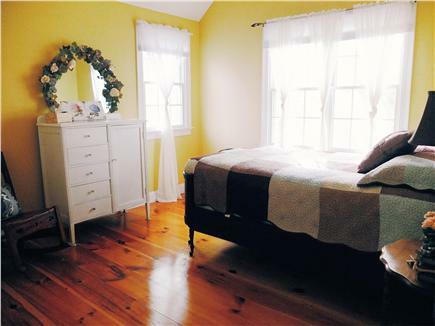 The home is beautifully decorated and was clean, comfortable, and well-appointed. We especially love the open floor plan on the main floor, which allows everyone to be together even while cooking a meal. Everything we needed to enjoy our stay was provided (beach chairs and towels, plenty of gas for the grill, pots/pans/dishes/utensils, etc..). The large fans in each room kept us cool without the need for air conditioners. We had fabulous weather and another wonderful week on the Cape! Our family of four had a terrific week at Rose Cottage! The cottage is lovely and had everything we needed. The nearby beach was peaceful and quiet, and we enjoyed watching the boats and ferries passing by. It was nice too to be able to walk into Hyannis and not have to worry about parking. All amenities are just a short drive away. 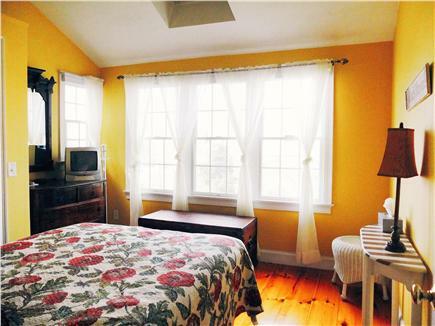 If our future vacation plans include the Cape, we would definitely consider another stay at Rose Cottage. 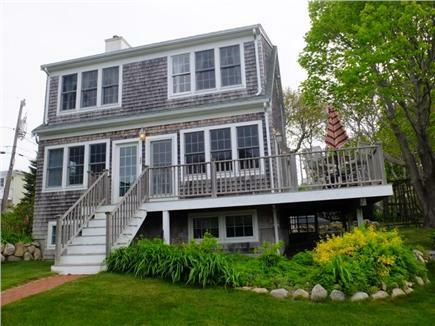 Perfect Cape Cod vacation home! We had a wonderful time at Rose Cottage. The home was beautiful, spacious, comfortable, and had gorgeous views of the ocean. A short walk to the beach was enjoyed, especially having small children. We cannot wait to stay here again! We enjoyed our stay at Rose Cottage this summer! The house had plenty of space for all 6 kids and 4 adults to relax and enjoy the week. The central location allowed us to visit 5 different beaches with ease. The house is beautiful and has everything you could ask for in a Cape home. We arrived at night to this smartly furnished home, well decorated, clean, and comfortable. Just fabulous!! We especially loved the screened in porch. For us coming from Israel we felt as if we are in a movie when we walked out in the morning to the waterfront and saw the area. We picked up some little shells and saw the boats. We were in heaven. 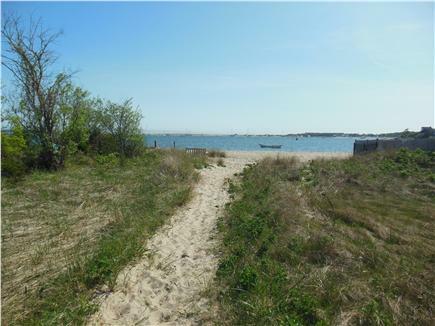 This is the perfect spot for a week of relaxation on the Cape and to experience beautiful America. Authentic Cape Cod feel. The first floor (with lots of windows) is a light airy clean space. Plenty of room for our family. In a quiet setting, yet close to all that Cape Cod is. Loved our time there! Bonnie & I moved into this 100 year old beach cottage home while serving as pastor of a nearby historic New England Church. We raised our 8 children here and then when we moved, we began to rent it out seasonally. A fire in the apartment destroyed our home and all the contents in 1999. We rebuilt a brand new version of that cottage and began to welcome friends in 2001. We have 25 years of precious memories, and keep this cottage up so that when you come, you feel the warmth of staying in our home. 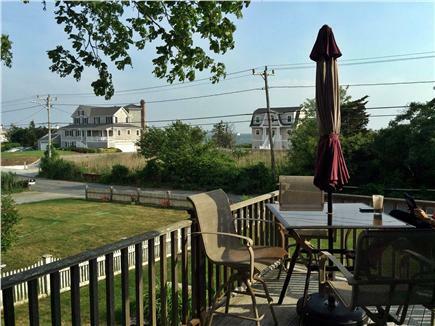 Since our home was rebuilt we love the fact that you can see the ocean from every floor. Even while folding clothes at the dyer in the basement you can see the ferry boats and sailboats on the Bay. The breezes are so calming, the fog when it rolls in is so quintessentially New England. What we enjoy most is the whole Cape Cod experience, from the shells steps away on the salty beach, or the fact that we are only minutes from town, the Mall, the best restaurants, bike paths, ferries, or the best sights and beaches of the whole Cape. This home is central to EVERYTHING. That's what we love. 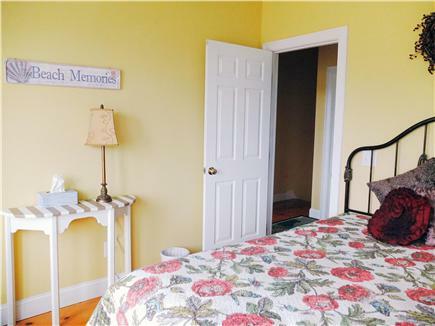 Our Cape Rose Cottage is tucked around the corner from the Cape Cod Hospital in a quaint, quiet, older community known as Hyannis Park. Most of our neighbors we have known for 25 years and many of them have lived in this area for generations. There is a strong sense of community and pride of ownership in those families surrounding us here on Lewis Bay.